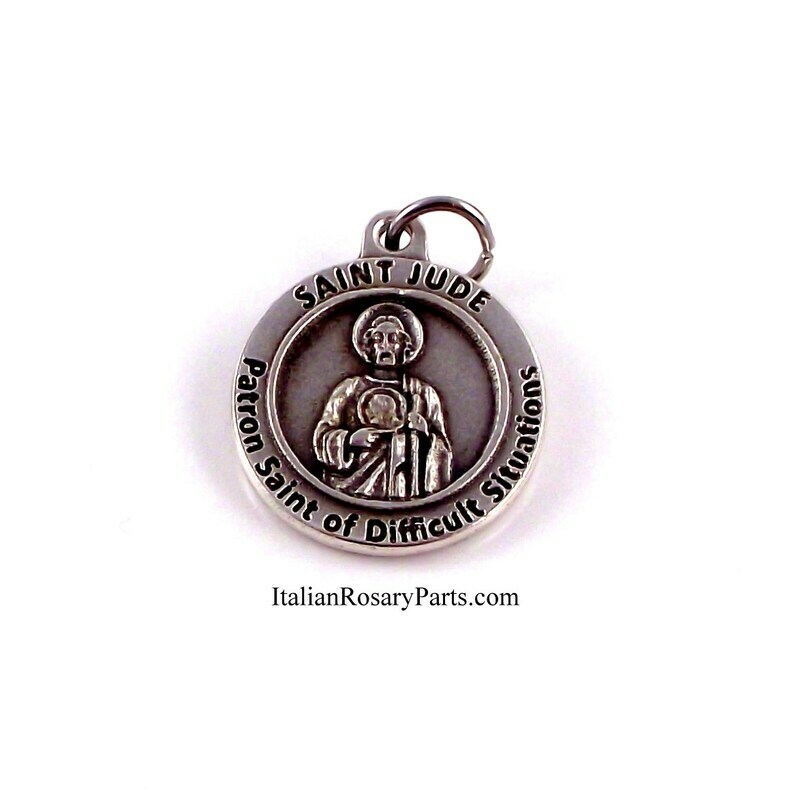 Saint Jude the Apostle medal. Measures 3/4" high. Silver-oxidized metal. Made in Italy. Patronage: Lost causes and desperate situations. Beautiful metal ! Five stars !! !